The Volkswagen Jetta has been a reliable compact sedan for decades. As it’s evolved over time, it’s become more stylish and added helpful technology. So, what does the latest model have to offer? Toms River Volkswagen put together this 2019 Volkswagen Jetta review to show drivers in Freehold and Brick what it can do for you. 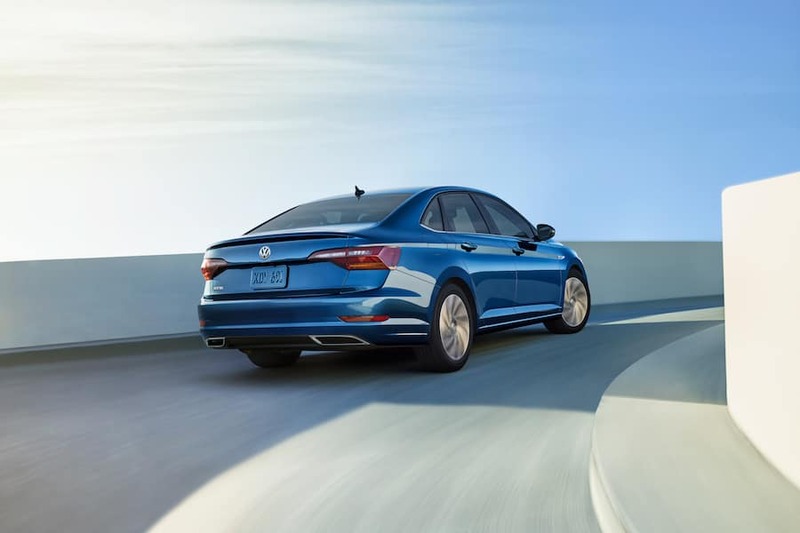 The 2019 VW Jetta is a sleek sedan that gives you both a sporty and efficient drive. It’s powered by a 1.4L TSI 4-cylinder turbocharged engine that gets up to 147 horsepower and 184 lb-ft of torque. There’s two versatile transmissions that you can choose from to work with this engine. The first is a 6-speed manual, while the other is an 8-speed automatic with Tiptronic® and Sport Mode for manual shifting without a clutch. While you’re enjoying this fun drivetrain, you’ll also be getting great fuel economy. It gets an impressive EPA-estimated 30 MPG city and 40 MPGi highway. When you’re at the wheel of the 2019 VW Jetta, there’s lots of technology at your command. Directly in front of your steering wheel you’ll see the Volkswagen Digital Cockpit. This 10-inch customizable screen can save up to four driver profiles and features detailed, colorful maps for navigation. You’ll also be able to get real time information on your drive like your speed, travel time to destination, and current fuel economy. Moving to the right, an 8-inch touchscreen on your dashboard serves as the home of your navigation with the Volkswagen Car-Net® App-Connect infotainment system. Using voice control and Bluetooth®, you can conveniently access Apple CarPlay™, Android Auto™, or MirrorLink®. Whether you’re streaming from your phone or listening to SiriusXM® Satellite Radio, you’ll get excellent sound quality through the available BeatsAudio® sound system. During your drive, you’ll also have peace of mind knowing that your 2019 VW Jetta is keeping you and all your passengers safe. Its frame is built with front and rear crumple zones to help absorb crash energy and direct it away from passengers. If an accident does occur, the VW Jetta has technology to help you there, too. The Intelligent Crash Response System (ICRS) automatically unlocks the doors, turns on your hazard lights, and turns off the fuel pump. Visit Toms River Volkswagen to test drive the latest Volkswagen Jetta. It offers a safe, efficient, and exciting drive with great entertainment for drivers in Freehold and Brick. Contact us,or come in to learn more about this 2019 Volkswagen Jetta review. i30 city/40 highway MPG (2019 VW Jetta 1.4L, 6-speed manual transmission). EPA estimates. Your mileage will vary and depends on several factors, including your driving habits and vehicle condition.